March is a great month for playdates. Not the kind you schedule between children, but the play on words that comes from March calendar dates. For instance, what’s the only day of the year that is a command? March Fourth! And even more popular, March 14 or 3.14—is Pi Day. Math and engineering people, like my Crafty Friend Greg, celebrate Pi day in style (and Greg has been agitating for a blog post in its honor). 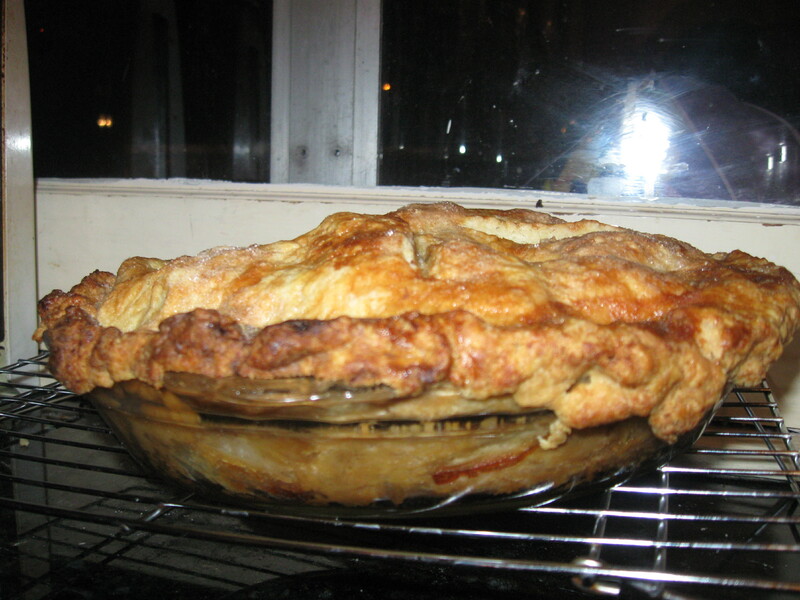 My friend Leah is have a Pi Day Shabbat—chicken pot pie, fruit pie, and if her son is lucky, pecan pie. 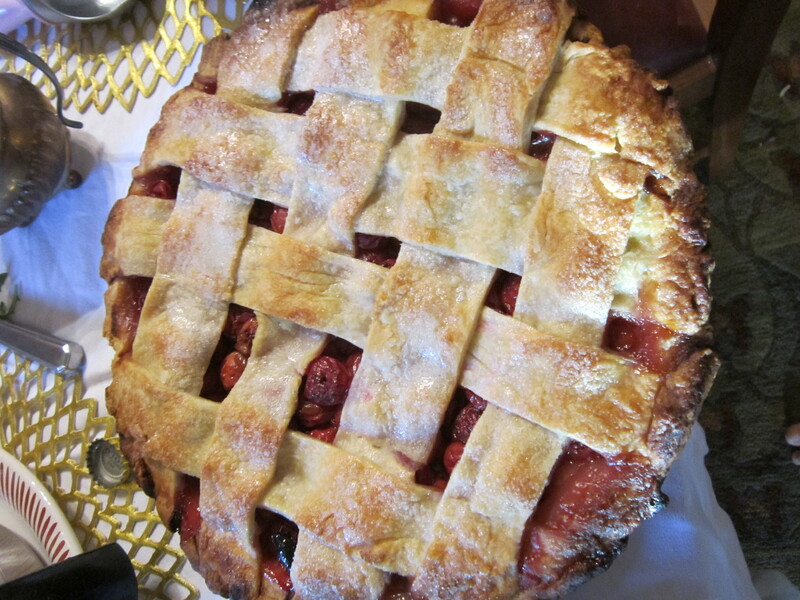 Michael’s famous lattice top cherry pie–he’s a very good husband! November for the best apples in the world—including the Albermarle Pippin, Thomas Jefferson’s favorite apple. 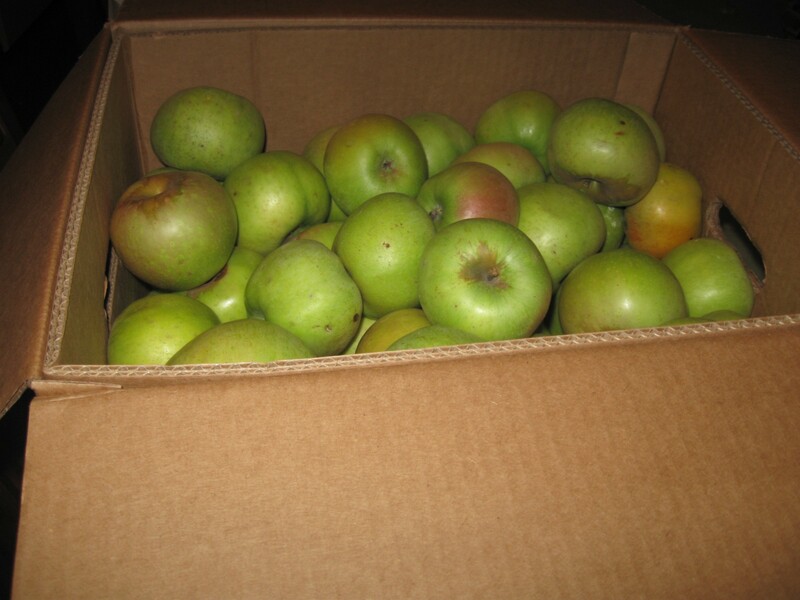 A box of Albermarle Pippins. Mike’s pretty busy today, so I think it will fall to Rebecca and me to improvise. I’m inclined towards a pizza pie—although Crafty Family prefers delivery to homemade in that regard. The King Arthur Flour Company blog has a cute idea for little pie in a jar which might finally get me to use those number cookie cutters that have been sitting on our shelf for years. I’m not feeling particularly ambitious today, so the thought of rolling out dough isn’t high on my to-do list. But if we take the making of pie off the table, then there are plenty of crafty inspirations for memorializing pi itself. In fact, I’ve made a treasury of clever pi themed handmade gifts available over on the Etsy website, like this beautiful stamped necklace from SpiffingJewelry. So, happy 3.14.14 and may the pi be with you!